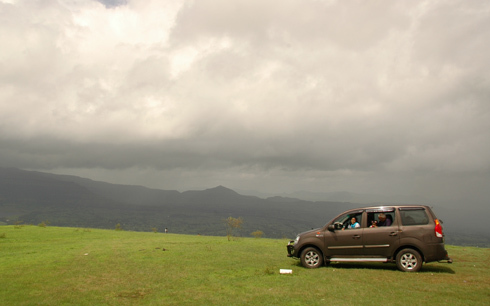 Compared to few years back, you can’t just drive and park on the Kaas road anywhere you wish. There are parking spots before and after the main area. 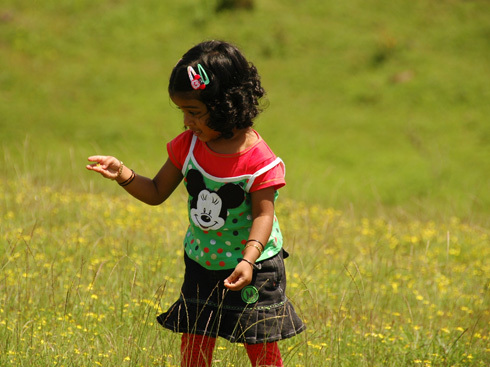 The better option is the one on the other side close to the Kaas lake. If you are planning to go on a weekend, expect big crowds. It is better to register ahead at www.kas.ind.in, entry fee 10 INR per person. They have a rule to limit the crowd to 2000 per day. They haven’t enforced it until now, but they may anytime. So, if you register beforehand, you get the preference. 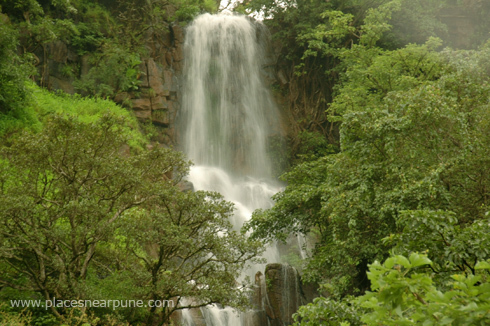 Leave EARLY in the morning from Pune, so that you get a place in the closest parking lot. As the day progresses, they stop the vehicles much ahead and it means either walking a long distance (around 2-3 km) or waiting a long time for the bus to take you to the main spot. Even better option, go on a weekday/non-holiday and have the whole area to yourself. I normally don’t return to any particular place before few months because i always feel that i can use that time to see some other new place. 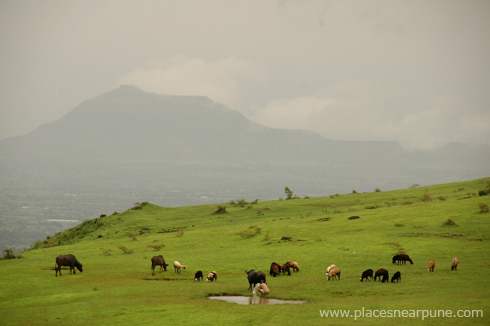 But, i have been to the Kaas/Kas Plateau three times in the past months. Such is the beauty of this area. 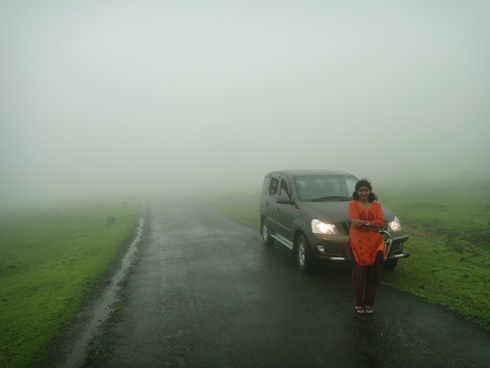 The first two times, i went during the monsoon and the eerieness of this place was awesome. 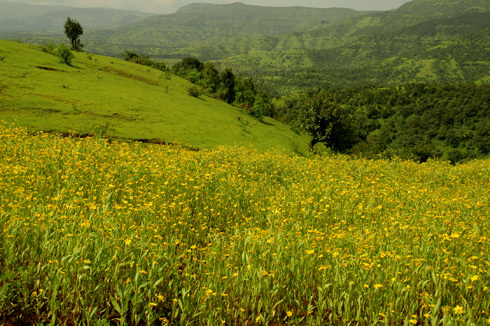 The third trip was more focussed, to catch the wildflowers in this area which bloom only for a short period of 2-3 weeks every year just after the monsoon. So, if you are reading this around the end of sep/start of Oct (the usual flowering season), GO THERE! We reached the plateau at around 1 pm, which was definitely not the right time for photographs. So, we finished our lunch and then went until Bamnoli, wandered around and returned a couple of hours later. 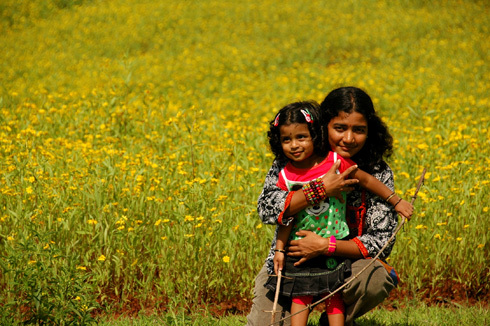 On the way to Bamnoli, there were some huge patches of yellow flowers against the background of green hiils. 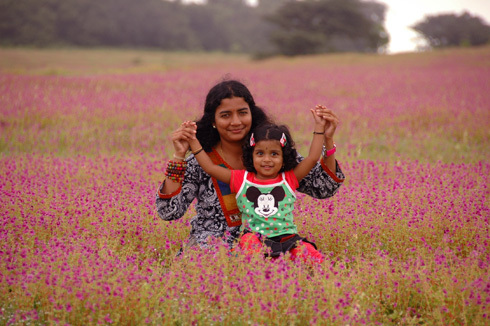 On the more popular area, you just have a flatland of flowers. 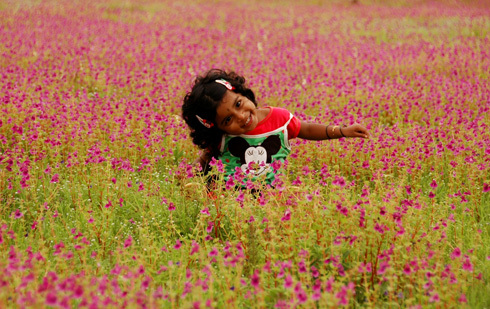 Akshara had lot of fun roaming around the flower patches. 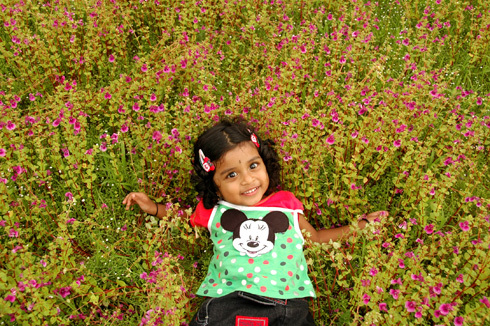 It took a while to get her to sit next to a patch of flowers for a photograph. But, once that happened, she sat (more towards falling!) down next to each and every flower and waited for me to photograph her. The best patches were the purple ones. 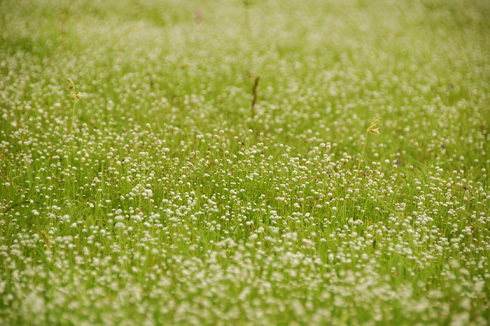 From a distance, they looked like huge carpets. I had been there on the day of Visarjan (immersion of ganesh Statues). Many had advised me not to venture out on this day as one could easily get stuck in traffic, but the situation was exactly the opposite. 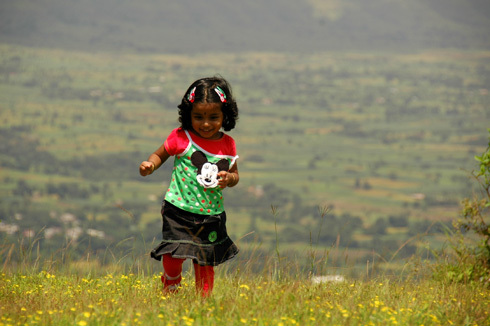 The times in and out of Pune city were the best on that day. Probably every one else thought about the traffic and stayed indoors. But, there were quite a lot of people on the plateau incluing many armed with big lenses and tripods! 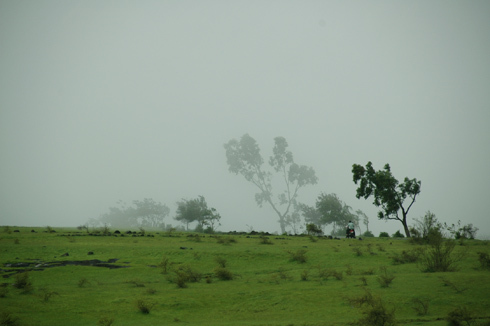 My earlier two trips to Kaas were in the midst of the monsoons and this place looked entirely different, a wet green colour and full of mist. It was extremely windy on both the occassions we went and it was difficult (for me and fun for Akshara) to get her to pose for a photo with her umbrella. 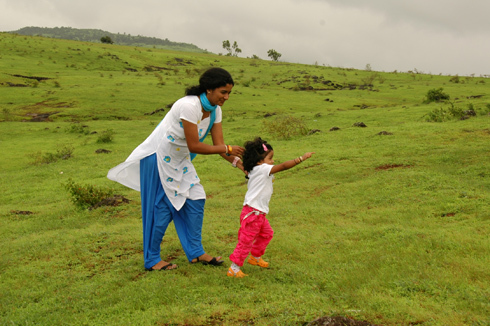 There were lot of cattle grazing in the area and Akshara wanted to get close to each one of them. With the slope on either side, it was difficult to catch up with her and the cows! 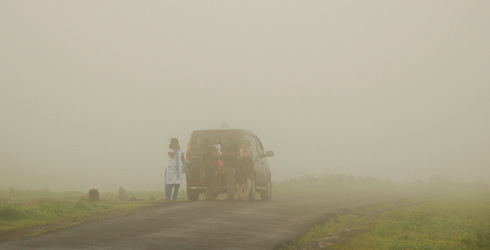 On our first trip, we were probably the only ones on the plateau as it was a rainy day and the whole plateau was covered in mist. We drove in the direction of Bamnoli, but after a while, the visibility was just too less for me to keep on driving. 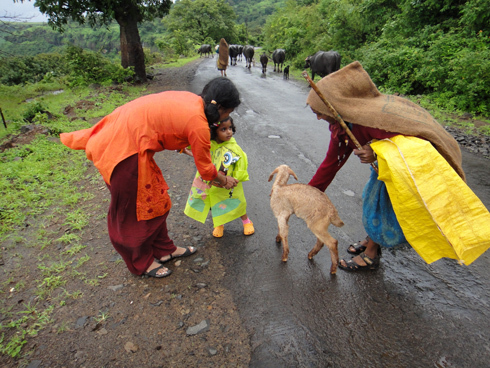 Akshara also got an opportunity to pose with a lamb, but she was all enthu’d until the moment the lamb also got enthu’d and got too close for her comfort. 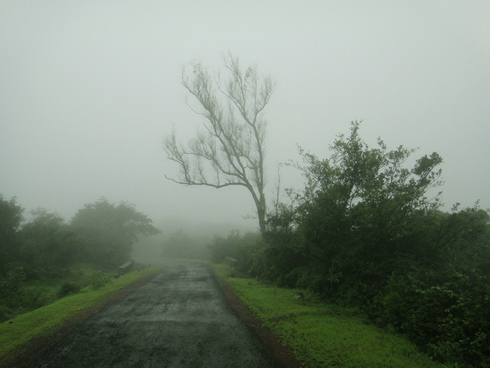 On the trip during the monsoons, we took the route from Satara to Mahabaleshwar through Medha village and kanheri dam. This was one of the best routes i had driven on in terms of the number and the size of the waterfalls seen. 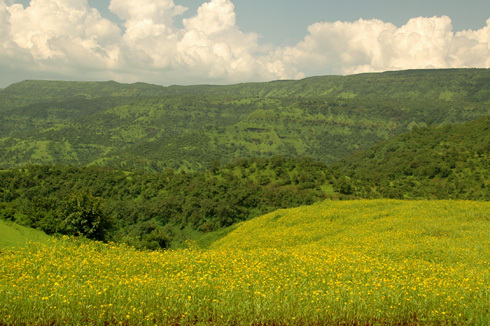 The advantage of this route is that it goes through a valley and slowly climbs into Mahabaleshwar and because of this you get to see all the waterfalls on the both the cliffs to the side. 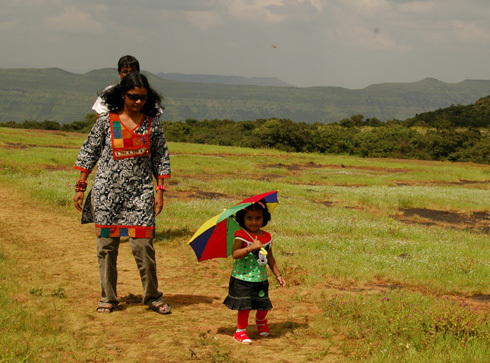 Update(Aug 01, 2014): Last week, there was a report in TOI that crowds have started to pick up at Kaas. 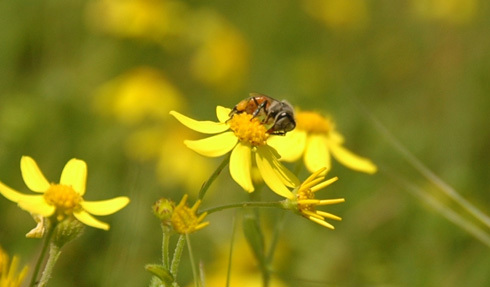 But, please note that August is NOT the seaoson for wild flowers. 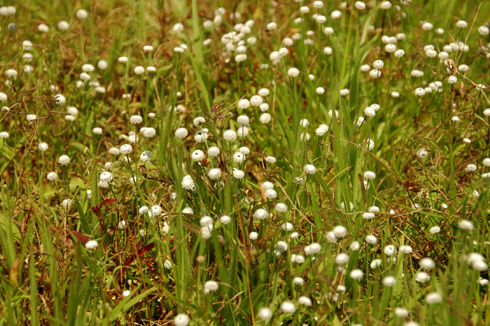 The flowers start blooming only AFTER the monsoon, around mid-sep. But it seems that they have started to charge an entry fee (10 INR) to control the crowds. The bext option is to cross kaas and park on the other side near the lake. The crowds are lesser and the walk too. Update(Sep 04, 2013) The flowers are blooming! 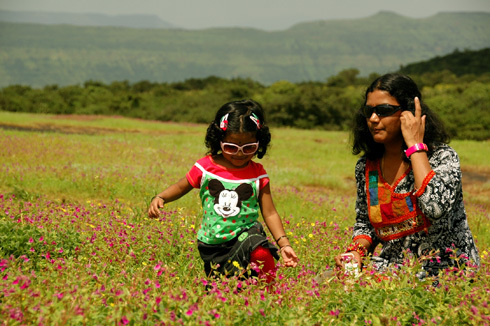 It is the perfect time to visit Kaas. A bit early this year, probably due to the erratic rainfall. If you can, plan top visit on a weekday unless you want to see as many people as there are flowers! Update(Aug 2012): The procedure for visiting Kas has changed and it is a BIG change. You have to pre-register yourself on a website. Only 2000 people per day would be allowed to visit the place. This is very good for the place, but not good for the visitors. There are many other ways this could have been done, but i am happy that at least something is being done. The website is www.kas.ind.in. You have to give your details along with the number of people with you. Then you have to pay 10 rupees per person, bank details are given. But, the assumption that everyone wanting to visit Kaas would have internet access and would be able to pay online is far-fetched. 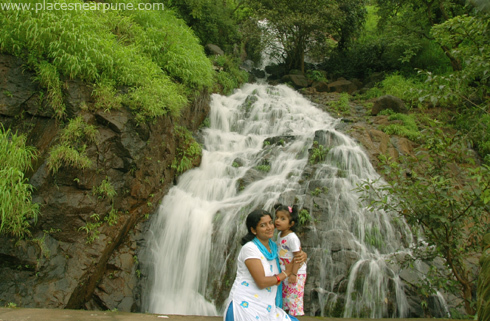 Natural attractions are the sole entertainment options for those who cannot afford the expense of the man-made ones! 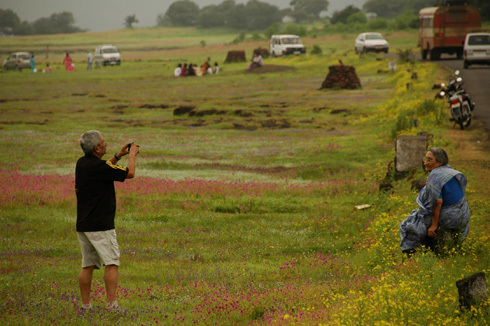 UPDATE (03 July 2012): Today’s TOI front page has a photo of Kaas Plateau against the headline “39 sites in western ghats get World heritage status” – article by Dipannita Das. 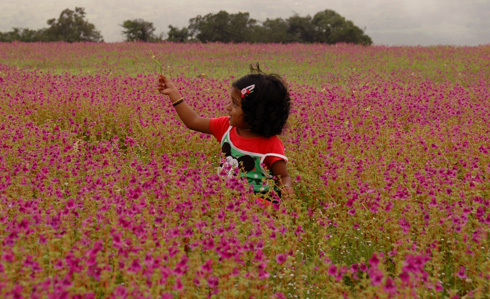 The caption with the photo says “Kaas plateau is in full bloom”. This is misleading. 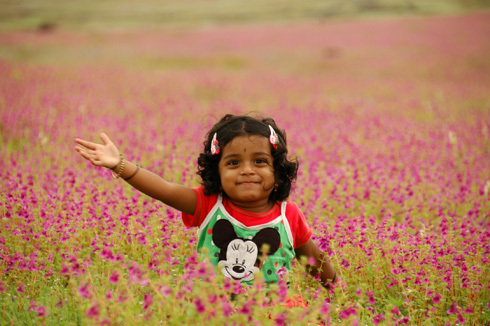 It should have been “Kaas Plateau in full bloom”. 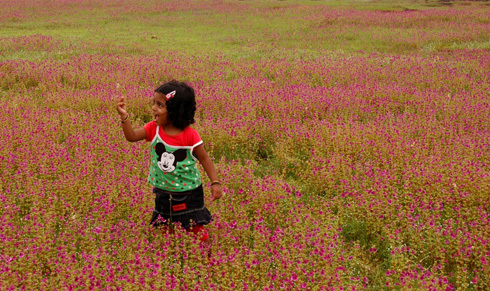 This is because it is not the season now for the flowers to bloom in Kaas. 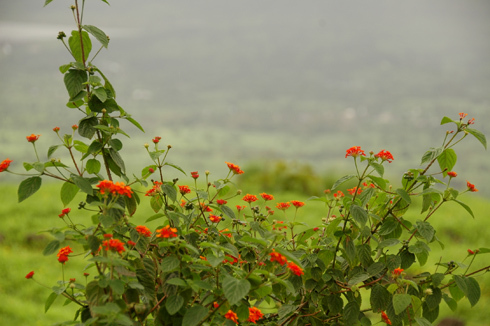 The flowering season starts just AFTER the monsoon. 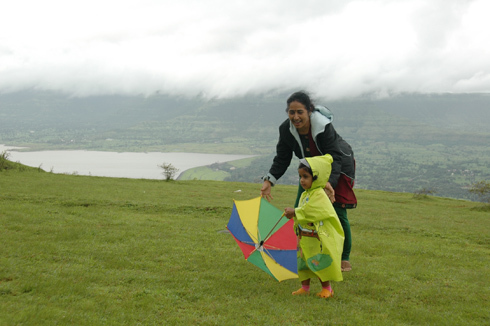 But then, Kaas during the monsoon is no less beautiful. 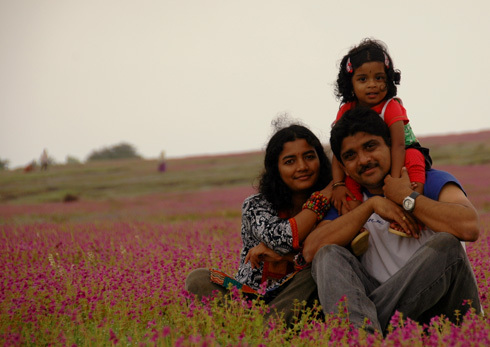 So, you can still go for a wonderful drive to Kaas. 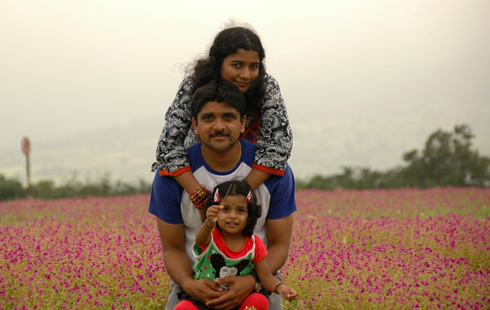 UPDATE (Oct 2011): They don’t allow you to park your vehicle on the road at the stretch where the flowers are usually blooming. Instead, you have the following options: 1) Park a few kms earlier and take a government bus to get dropped off in the main stretch 2) Drive a little ahead (saying that you are going to Bamnoli) and park at the junction where the main road becomes a one-way stretch from Bamnoli. The second option is a walk for only a km. 3. Drive to Bamnoli through a 7 km kuchcha stretch and then come back on the main road. This will allow the option of dropping off kids/elders on the main stretch and allow you/driver to continue on to the parking area. When i enquired about these regulations, the policeman said that these are enforced only on weekends. So, if you have the time on a weekday, you will have the place to yourself. Loved the read. You are as passionate about nature as our gang of senior ladies. We are planning a Mumbai Kaas trip in Sept. Will stay overnight. 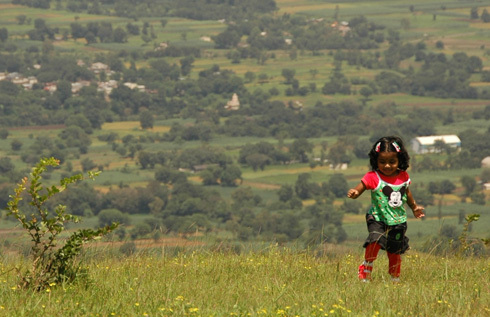 is MTDC approved Kaas Pathar Village Resort a good option? How early should we leave from Mumbai? Sir, Kudos for your attempt for this blog. 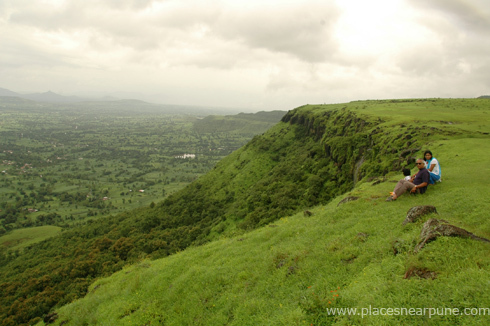 It motivates people like us to explore beautiful places around Pune. 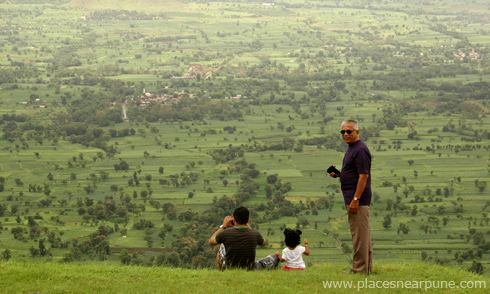 I have a query regarding return route from this place/Panchgani/Mahabaleshwar. I stay in same locality as yours and the return way which we generally take is very long and time consuming ( cross across Karve Nagar). Do you use the same route or some other shorter route. Please share. Thanks for giving detailed information on Kas!